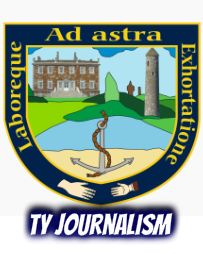 Welcome to the Donabate Community College transition year journalism website! This website will give you an insight to Transition year in Donabate Community College by providing information on trips, classes, modules, work experience and events. The various sections on the website will provide reviews, lifestyle tips, podcasts, recipes, fitness workouts, diets, makeup tutorials and sports articles. We would like to thank Mr Creevy (principal) Ms. Flynn (Vice-Principal) Ms.Lowry (Journalism teacher) and all of the other teachers and coaches for giving us permission to attend and report on games, trips, talks and future events. ​We have put a huge amount of work into our website, articles, reports and we hope you enjoy our work. Donabate Community College is a school that caters for students in the Donabate Portrane Peninsula. Our Principal, Mr. Creevy and our vice principal Ms. Flynn have both assisted the students in the journalism module greatly in making this website and we are very thankful for that. Most of the students who are contributing to this website for our TY journalism module have spent the last four years of their lives growing up and receiving their education in this school so we hope we can do justice to our school over the coming months on this site.